Do you believe God exists but struggle to connect with him? Do you feel like you’ve forgotten a God you used to know? Or do you feel that God has forgotten you? Most people say they believe in God, but many don’t feel connected to God. That’s just as real for long-time spiritual wanderers. Many times in the course of our lives we sense a distance between where we are and where we want to be. 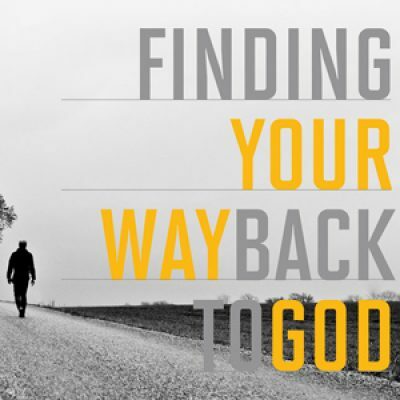 Our new 5 week teaching series “Finding Your Way Back to God” will help you start right where you are and take the first step in finding your way back to God or re-engaging in your relationship with Him. Will you join us for the journey?